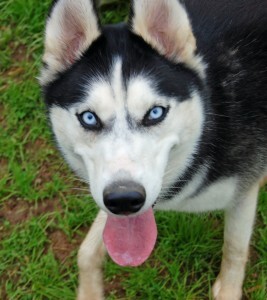 Bella is a classic black and white, blue eye Siberian who just wants to have fun! This 1 year old girl is still a pup and has a high energy level. She is very popular with the other huskies and loves to play with all the dogs. Bella was welcomed into MaPaw when her mom became ill and could not take care of her. It was a sad day for all, but Bella’s welfare came first and she is fitting in very well. Due to Bella’s age and energy level her perfect forever home would be one with another active companion her size ~ no small dogs or cats please. She will be best in a home with a sturdy 6 foot fence to play in and stay safe and sound. 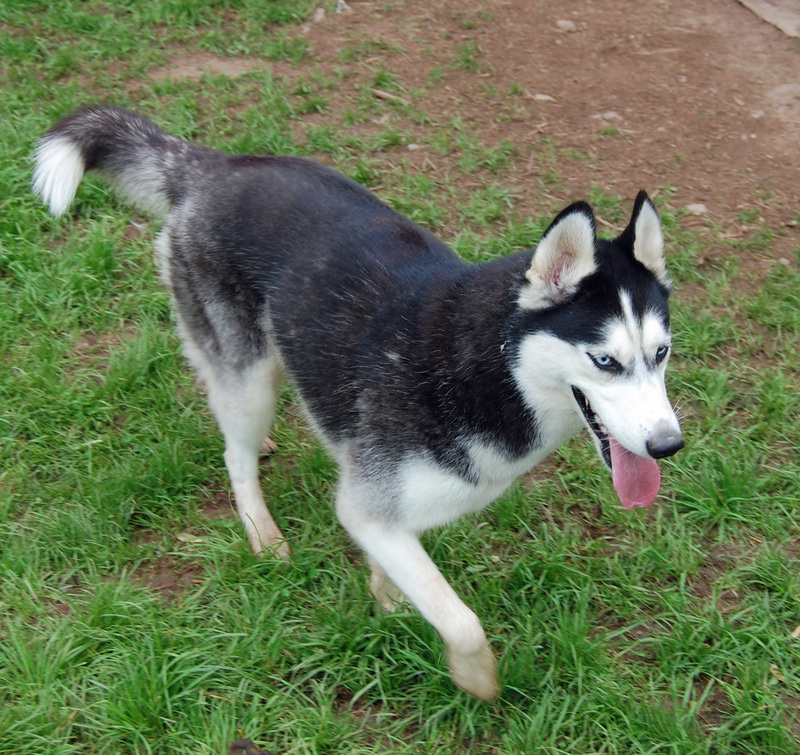 She would also benefit being in an active home ~ A good husky is a tired husky! 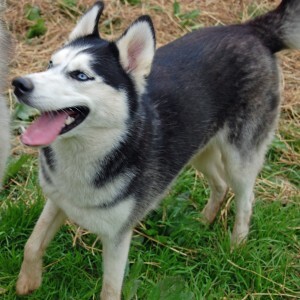 If you are interested in a high energy, very smart young Siberian to keep you on your toes, please contact us about Bella.